MedicalPlus provides a streamlined medical site creation experience. Get a quality medical site created, customized, and ready-to-go easily and rapidly by using MedicalPlus’ one-click demo install, theme customization, & page builder. MedicalPlus provides a Twitter Bootstrap based Responsive Design specifically targeted at doctors, dentists, surgeons, hospitals, health clinics and any other medical services websites. 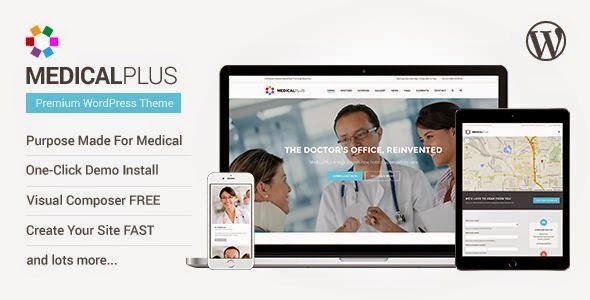 Item Reviewed: MedicalPlus Premium Health and Medical WordPress Theme 9 out of 10 based on 10 ratings. 9 user reviews.